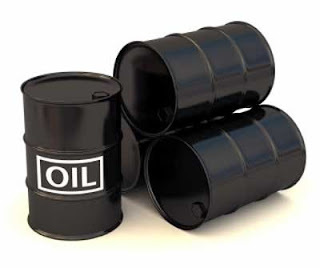 THE Petroleum Equalisation Fund Management Board, PEF(MB), said it has commenced the Sensor Monitoring project, that is designed to help determine the accurate quantity of petroleum products, especially Premium Motor Spirit, also known as petrol, consumed in the country. Speaking at a training for journalists in Abuja, Executive Secretary of PEF, Mr. Ahmed Bobboi, said the sensor monitoring project was embarked upon after it commission a study to determine the technology gap assessment of its operations, adding that the outcome of the study revealed areas that needed to be addressed. According to Bobboi, PEF discovered through the study that the Sensor Monitoring project would plug a number of gaps in its operations, noting that the project was done after collaboration with other agencies in the petroleum industry. He said, "Up to today, it is difficult to determine the actual quantity of fuel consumed in this country. Different agencies give you different figures and I think it is not tidy. With the introduction of the Sensor Monitoring project, we believe it would serve to answer all the questions. "The project for the Sensor Monitoring which was approved by the Federal Executive Council was supposed to last for three years, but work has already started. Work has started, some of the equipment we are going to use, such as the ICT equipment are being produced now; the contractor has already mobilised on site, work has started already. "The question is when do we begin to see the effect? By six months, we would begin to feel something, at the end of one year, we would begin to see something. Maybe before the end of this year, we would begin to see some of the landmarks of this project." He explained that the planned commencement of equalisation of petroleum products through the railway was suspended due to the proposed policies of the Federal Government concerning the rails.